Home How Much Does a Website Redesign Cost? Editor’s note: This post was originally published on 8/1/17 and has been updated for accuracy and comprehension. In today’s economy, one of the most important factors for your business is how your website looks and functions. 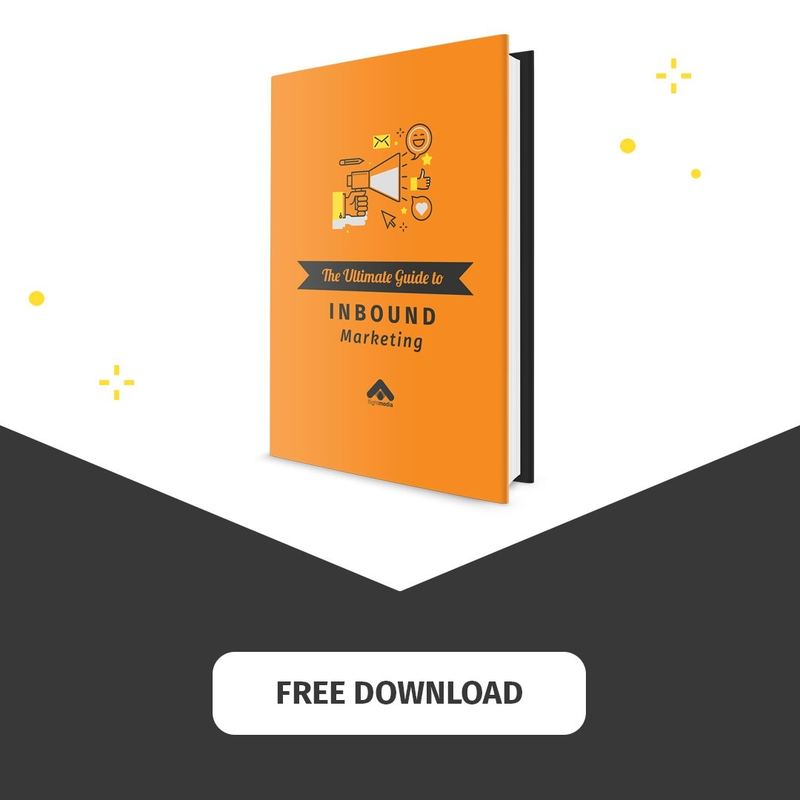 Hands down, that’s the number one place your customers will go to learn more about you and your brand. No wonder that businesses plan to dedicate 57% of their budget towards the design of their site. 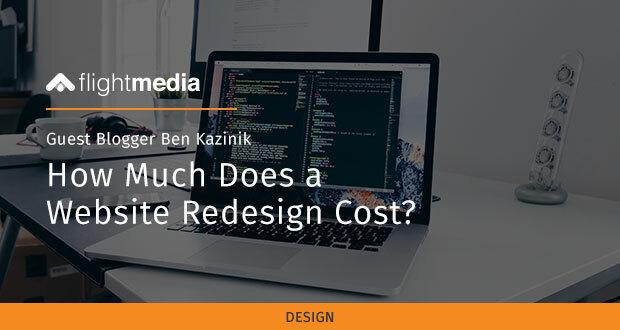 The cost of a website redesign has gone down tremendously in the last few years, but that doesn’t mean it’s cheap or you should choose a bare-bones option. There are way more alternatives and tools available to do it yourself, more online platforms to hire a freelancer, and a lot of agencies to choose from. So what should you do when you consider updating the design of your site? Look at the costs of each option and weigh the pros and cons. We’ve done all the work for your in this article. Read on to compare the three options (DIY, freelance or agency) and see the cost breakdown for each option. Then, decide for yourself which option suits your business’ needs. It has become significantly easier to design your own website in the last few years. There are a few different ways to do so. WordPress is the most popular way to design a website these days. You can purchase your own theme ($60-80) from sites like ThemeForest and watch some videos for how to upload it and install it onto your site. You could also use Webydo or Wix. They are great WordPress alternatives that allow you to drag and drop elements to create your site. It’s super simple, but they do charge you a monthly fee of between $4.50 to $70 per month for the basic plans. The biggest advantage of doing your website redesign yourself is the cost. If you know what you’re doing, you can take a day or two and do it yourself. You can also customize it to your liking, pick the design you want, etc. The drawback is that you might not be knowledgeable about building a website. After all, it does take some technical understanding to put it all together. In addition, you may not be up-to-date on the latest design trends and how website design informs marketing and sales. Sure, you can get a basic site done quickly. But if you need something more advanced, with integrations and gadgets, bells and whistles, you’ll probably want to hire a freelancer or an agency to do it for you. Finding the right freelancer is not as hard as you might think. There are many sites that can help you with that. The best place to go first is a site like Fiverr – where everything is, you guessed it, $5. You can get a site designed by a professional freelancer for about $100-200 and up to $2,500. If you need someone with specific expertise or want a larger pool of freelancers to pick from, you could use Upwork, Freelancer.com, and Guru. You can interview someone and hire them within a few days. Here is a great article about the process of hiring a freelancer. 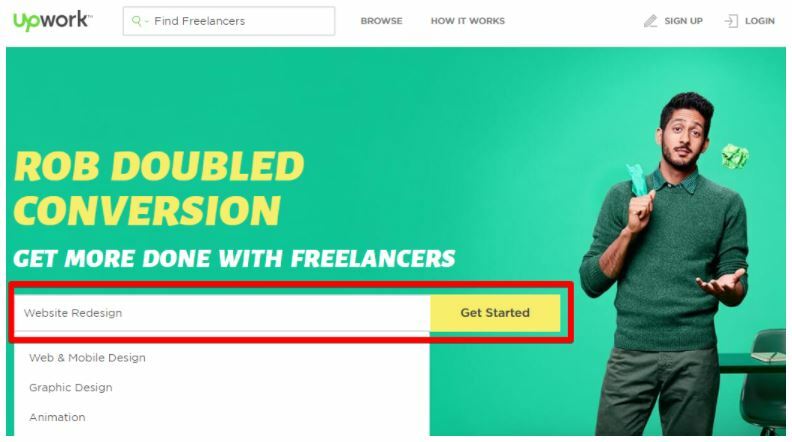 Hiring a freelancer is generally an affordable option, and if you don’t have the skills or the time to create your own website, then this is a good way to go. With a freelancer, the greatest benefit is that you are still in control of what the website will look like, and dealing with one person will provide you the flexibility to change things up and add more elements to the site until you are 100% satisfied. Also, the turnaround is quick and if you need something done fast then this is definitely the option for you. Sometimes a freelancer will just do what you ask, so if your knowledge about website design is limited, you might not get the most high-tech site. Often search engine optimization and conversion optimization will not be built into the services that a freelancer offers. You will have to order those separately, and often will have to find another person to do them for you. Actually hiring the right person may also present a challenge. Do you know what skills and certifications to look for? Are you willing to work with someone overseas who may not have a command of the English language? And, of course, there’s the concern that you will pay for work that doesn’t get done. Most agencies offer other services on top of web design, such as social media management, email marketing, and advertising. When you hire an agency, you’re getting experts to work on your site that know how to optimize it in all of those other areas – and ensure it will be the marketing and sales machine you need it to be. An agency will have the most up-to-date technology for your site. This is important if you are planning to have a mobile and responsive site. Mobile technology changes all the time and an agency will have all the latest specs that will be the most compatible for all of your users. Another benefit is that a successful agency knows all the latest SEO tools and trends so your site will show up on Google. An agency will also typically build sites optimized to convert. They know the best ways to convert leads and will build your site to start making money for you. In terms of email popups and free content, again they will know the best popups to use and the features will be built into your site’s design. Many agencies do social media management and email/inbound marketing along with their web design services. When you hire them to do your site, they will understand how all of these components work together. The site will be optimized so that it’s suited for social media, inbound, and lead conversion – basically everything you need to run a successful business will be included. This is especially true if you work with an agency that builds websites using growth-driven web design – hands-down, THE best way to go about designing a website. If you have a limited budget, then the agency option might not be the right one for you. Also, if you need a very basic site or you use other channels to convert customers (if you sell items on Amazon, for instance), then DIY or freelance may be better options. Also, if you have loads of time to spend on building a website yourself – and you have the skills to do so – then hiring an agency is probably not necessary. DIY: If you are strapped for cash or only need a basic site, then go DIY. Freelance: If you don’t know how to make a website and need something super basic, hire a freelancer. Agency: If you want to have the best converting site for your business, with all the latest SEO, integrations, and popup tools, all for a reasonable price, hire an agency. 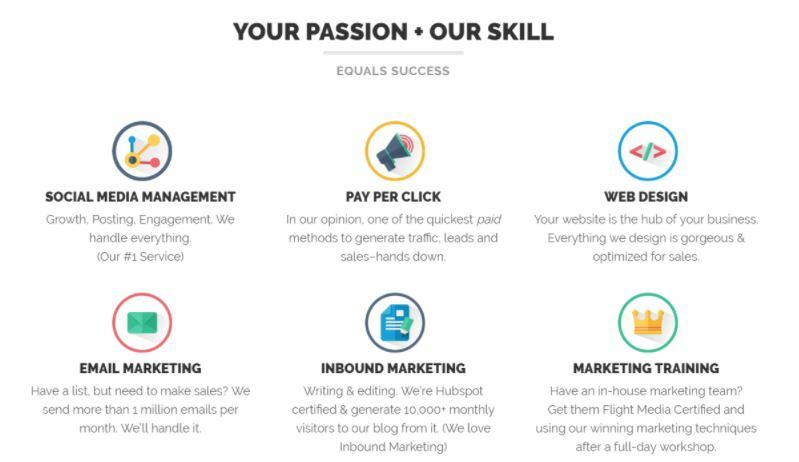 You may be surprised that, as an inbound marketing and web design agency, we’d recommend options OTHER than working with us. We know that hiring an agency is not for everyone, nor for every situation. If you think working with an agency might be a good fit for you, or you just have questions, contact Flight Media for a free, no-obligation chat! Hope you enjoyed the tutorial! If you have any questions or cool stories about your own site redesigns, feel free to leave us a comment! Which of these options makes the most sense for your needs?